Speak out against the expansion of oil tanker traffic on our coast by signing up now for Dogwood Initiative's "Mob the Mic". Join me and hopefully 1,000 others to be heard at the federal review panel in 2012. THANK YOU for helping us exceed our goal! Surplus funds will be sent to the national party. We felt rewarded by your support. It was a surprising and exciting campaign, with great media coverage near the end. In spite of feeling disappointed on Election Night, Chris and I were elated about Elizabeth May's win. And we're still together, so it's all good. No specific plans for the future, which is the way we like it. Today is the last day to donate to a specific campaign! A $100 donation will cost you only $25 after tax deduction! Sincere thanks to everyone who has supported my campaign. This is the last week for my campaign to receive donations, and we still need another $2,000. If you're still planning to contribute, please visit www.votecolero.ca and click through the big red "Donate Now" button to "Donate Locally" on the Green Party site. THANKS! Watch me get serious, then get some laughs at the All Candidates' Debates. Videos are now posted at http://votecolero.ca, where you can also hear the radio ads CBC says they can't play. I'm grateful to the many Green supporters who attended these events and laughed at my jokes! 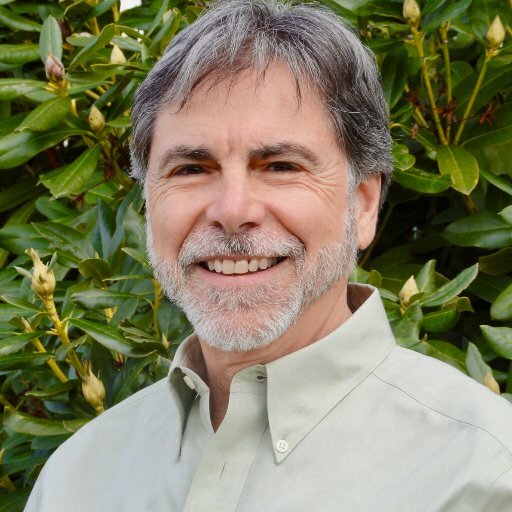 Come meet Larry Colero, your Green Party Candidate for South Surrey/White Rock/Cloverdale! He will be co-hosting a meet and greet at Small Ritual Coffee Society in White Rock at noon on April 17th, 23rd, and May 1st. See you there! I often cringe at what Rex Murphy has to say, but here's a great opportunity for Green Party supporters to be seen as well as heard. I'll be out canvassing in the riding, but if you can make it into Vancouver Sunday afternoon for his live show, please make the party proud! Dear CBC: I was dismayed at being excluded from the Early Edition. Voters have the right to know about all of their choices, not just the old parties of the left and the right. The Green Party goes beyond that and represents the politics of the future. If your listeners would like to know how I would have responded if I had been included, the Green Party’s platform can be found at www.greenparty.ca/platform. Take action this Monday! We need a huge crowd to make a strong statement. This rally isn’t about supporting the Green Party or Elizabeth May. It’s about fair representation of an established national party in what we thought was an open democratic process. This is the last in a series of rallies cross-country, the day before the first TV Leaders' Debate. Let's make it happen! Elizabeth May takes on Gary Lunn on CTV's question period! Let's get Elizabeth May elected as Canada's first Green Member of Parliament! A $400 donation will cost you only $100 after your tax rebate! A $100 donation will cost you only $ 25 after your tax rebate! It's quick and easy to donate at the link below. Just click on "Join or Donate locally" after using attached link. Donate to Larry Colero's campaign now! Take action now to get Elizabeth May back into the national leaders' debates! This is (once again) outrageous. Speak out for democracy! Larry Colero, Green Party candidate, with Elizabeth May, Green Party leader, on March 30, 2011 after her press conference on being excluded from the national leaders' debates. Larry says, "Elizabeth is a true orator - an inspiring leader who is passionate about democracy. Very powerful speaker! Elizabeth is one of the main reasons I'm running with the Greens." Are you concerned about democracy in Canada? The record-breaking deficit? Oil tankers sailing past White Rock and Crescent Beaches? Whatever your issue… here's your chance to speak up! Register at www.e-townhalls.ca ! See Larry Colero's page on the Green Party of Canada's website! Have you seen the Green Party's new ad, "Change the Channel on Attack Ads" yet?